Are you a school leader considering changes to your learning environment? This guide provides some essential concepts to consider as well as some practical tips on where to begin. Learning space design can serve as the linkage between instructional design and technology integration. When all three of these areas are working in sync, the amplification of modern learning leads to amazing results for kids. Research continues to emerge showing that student choice and movement in the classroom coupled with intentional design by educators can maximize engagement and students satisfaction. 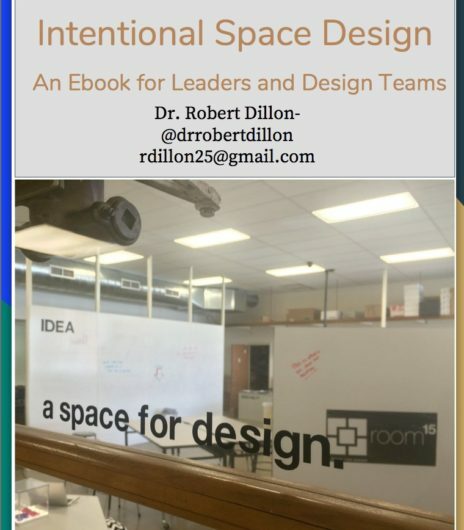 This is an essential time to make space design a part of your leadership focus. Dr. Dillon has served as an educational leader throughout the Saint Louis area over the last twenty years as a teacher, principal, and director of innovation. Dr. Dillon has a passion to change the educational landscape by building excellent engaging schools for all students. Dr. Dillon has had the opportunity to speak throughout the country at local, state, and national conferences as well as share his thoughts and ideas in a variety of publications. He is the author of four books on best practices in learning.